Cask is a proud sponsor of the upcoming 28th NDIA Navy Gold Coast Small Business Procurement Event. This event takes place August 23-24 at the San Diego Convention Center. The purpose of Gold Coast is to provide a forum to educate, guide, and assist businesses, especially small businesses, in working with the government, primarily the Department of Defense. NDIA is working to bring informative and motivating speakers to present topics of interest regarding working with the government, specifically the Department of the Navy. Plan on attending exciting and relevant general/plenary and break-out sessions. Visit over 250 industry and government exhibitors along with dozens of posters containing company information and opportunities. 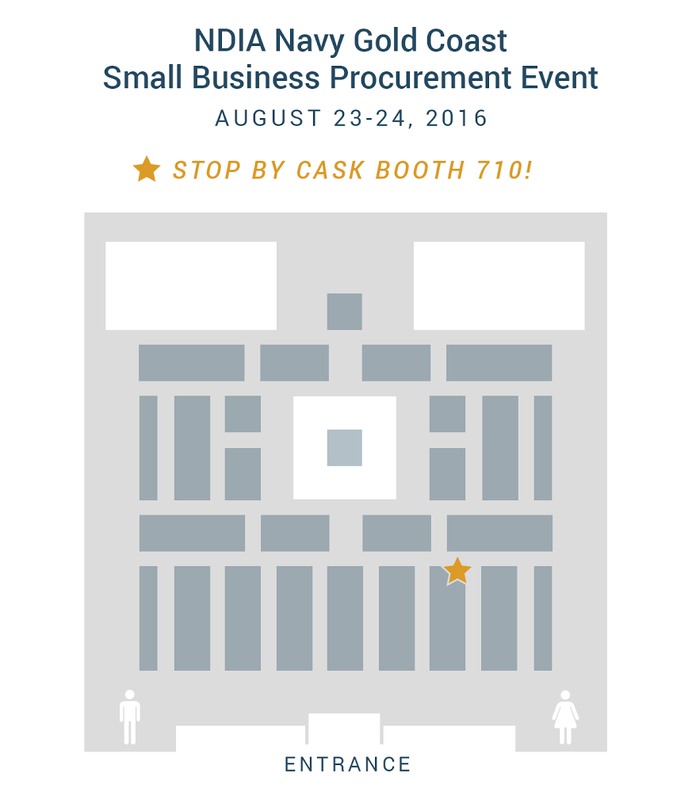 Cask will be at Booth 710, so make sure to stop by to speak to our Coopers in attendance. For more information on how to register for the event, read more here. Look forward to seeing you at the event!